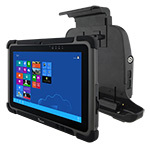 The Sky*Tab is a ruggedised 10” Windows tablet with an in-built smart card reader. Using the internal camera and the m*Patrol SW, it also reads the Machine Readable Zones (MRZ) of personal IDs. It communicates with the Q*Box when used inside a car, and can also work also completely independently. 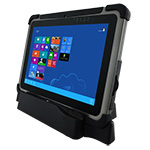 Sky*Tab is a Windows 10 based tablet with 10.1” screen, with a 1280×800 IPS LED panel with P-Cap Touch. The internal memory is 4GB (optionally up to 8GB). The display has an optical bonding for sunlight readability. 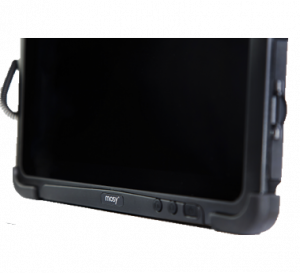 It is a ruggedised device with IP65 protection, which makes it water and dust proof. 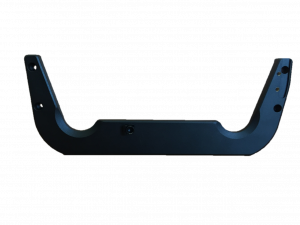 It also offers certificates from shock, vibration and drop tests. 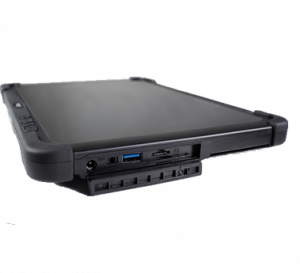 Sky*Tab has a low-power system with Intel® BayTrail-M processor. The standard battery last at least 8 hours. 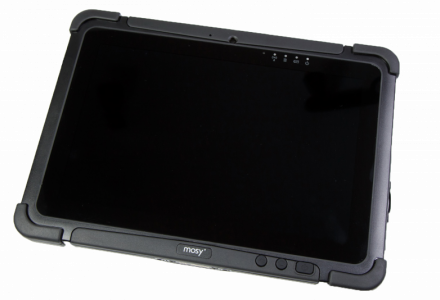 Tablet is equipped with a hot-swappable battery design and offers an optional high capacity battery pack. Wireless communication is provided by Wi-Fi, Bluetooth, 3G/LTE and GPS. 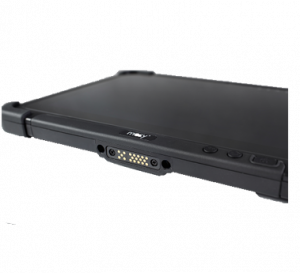 Sky*Tab is equipped with several I/O connectors (USB, micro SD, mic in/out). The dual camera design contains 5MP main camera with LED flash and 2MP front view webcam. The law enforcement agencies may take advantage of the built-in smart card reader, that allows to read personal or vehicle IDs. 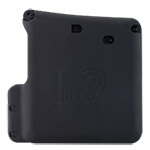 MRZ zones are read by camera and the m*Patrol SW. RFID reader is an optional add-on.